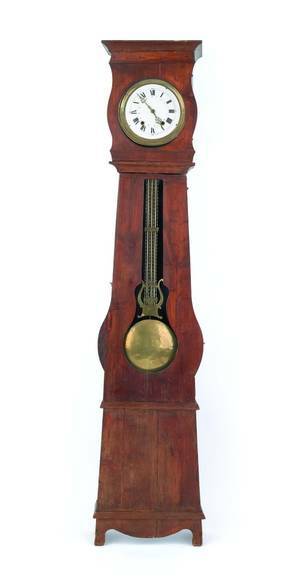 French, 18th century. 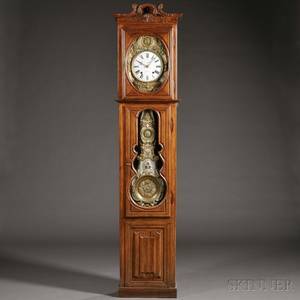 Provincial or country tall stained oak cased clock with thin body with scrolled carved borders. 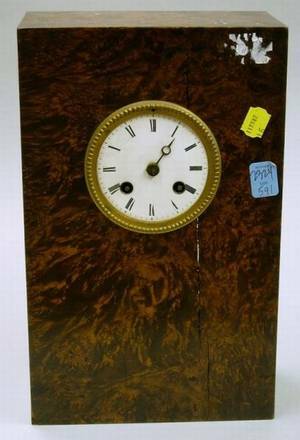 Circular cream colored clock face with black Roman numeral dial above center section with hinged door. 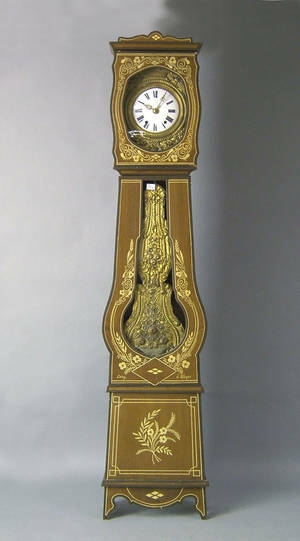 Height 98", width 12.5", depth 9".